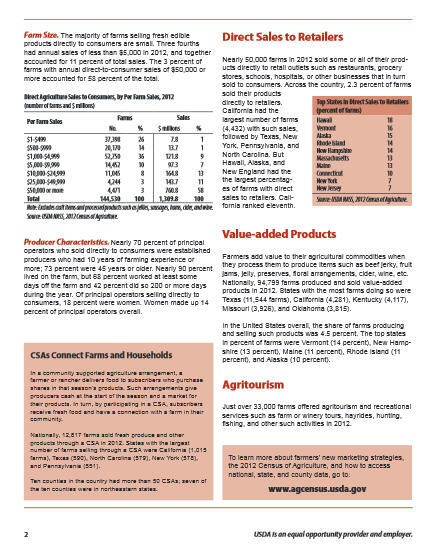 Throughout the United States, 144,520 farms sold $1.3 billion in fresh edible agricultural products directly to consumers in 2012. 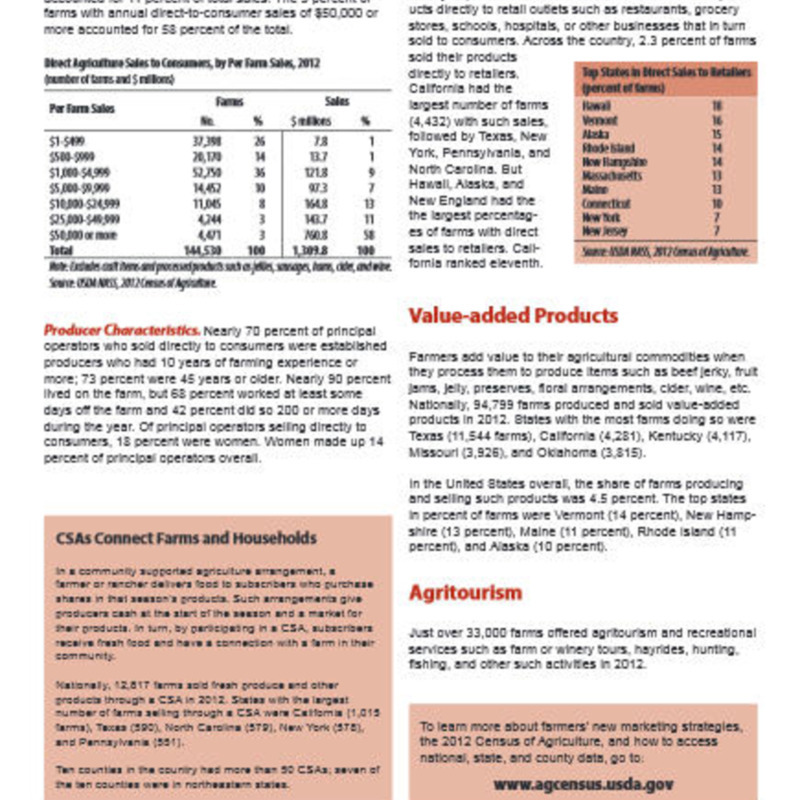 This was a 6 percent increase in farms, and an 8 percent increase in sales, over 2007, the last time the agriculture census was conducted. 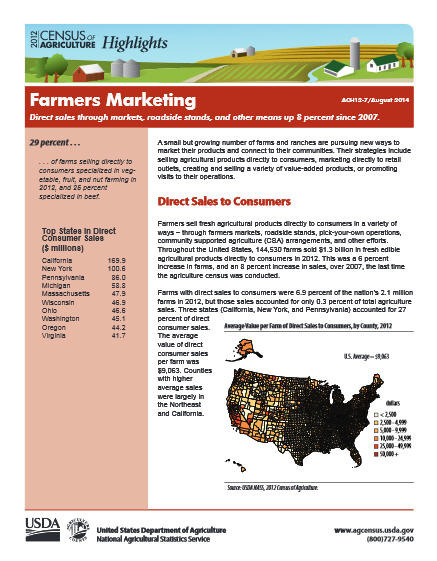 Farms with direct sales to consumers were 6.9 percent of the nation’s 2.1 million farms in 2012, but those sales accounted for only 0.3 percent of total agriculture sales.